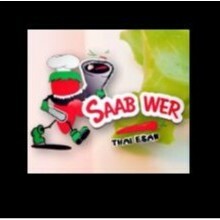 Saab Wer Thai Esan Restaurant joined our Mission to help provide access to “Clean Water for All by 2030”. This Mission was initiated by the United Nations. A big thank you to Saab Wer Thai Esan Restaurant’s team and customers for joining this extremely important mission on 02 January 2018. "One of my favourite Thai places in town. A regular indulgence for me. Great value $7.50 lunch special. Noodle and rice dishes are authentic, tasty and generous. Complimentary little red sweet sticky rice dish with each meal. Great quality chilli powder to top it off."